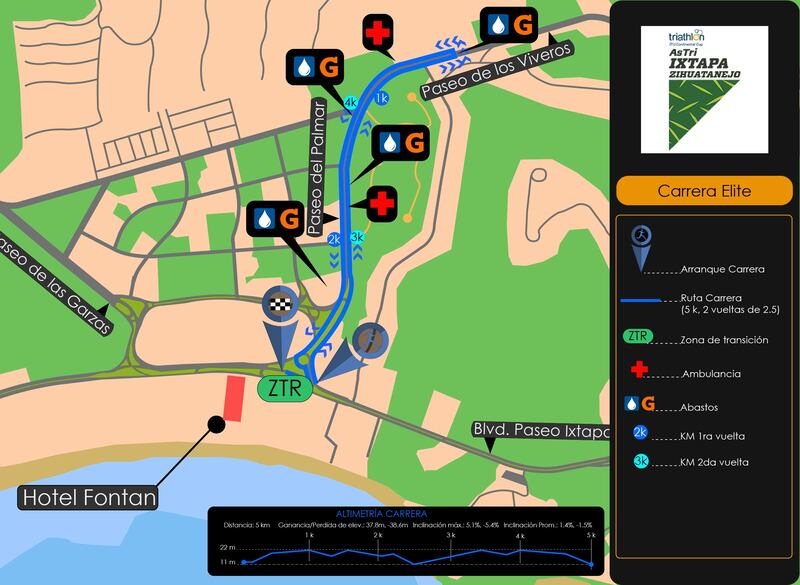 The start area will be located at Pacifica Beach. This will be a beach start with each athlete being allowed .75m for their start position. 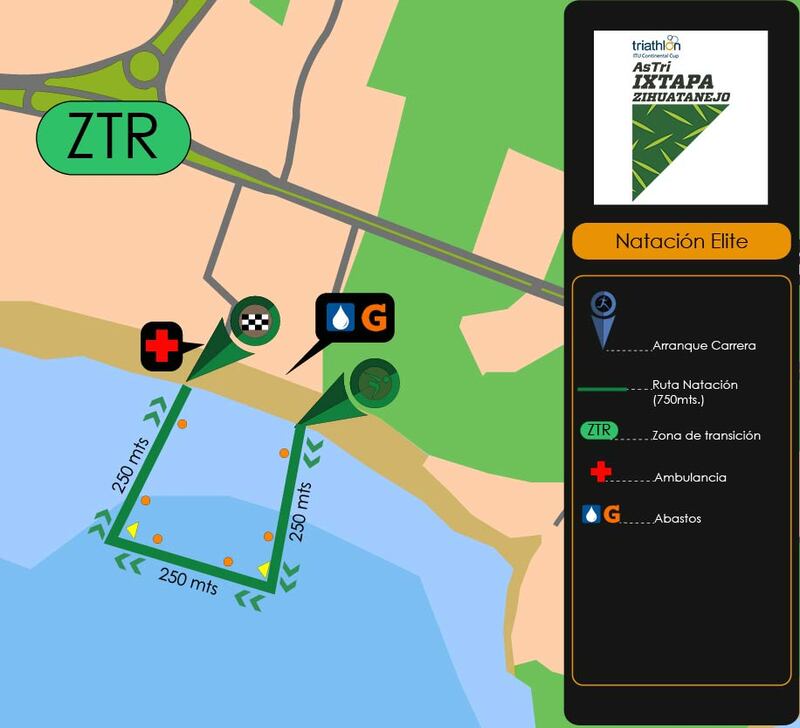 The Race Referee with the assistance of ITU Technical Officials, who are assigned to the start, will start each race. There is one lap of 750 m to swim clockwise. Each turn will be clearly marked with a yellow and orange buoy with the Arena logo on it. The average water temperature in Pacifica Beach in May is approximately 24 degrees Celsius. Wetsuit use will be announced one hour prior to race start by the technical officials but will be unlikely. Transition area is located next to the finish line area in front of the grandstands and equipped with traditional ITU-style bike racks. The positions on the bike racks are labelled with athletes’ name, number and country. The athlete position in transition is based on the current ranking of the athlete, with the highest ranking athlete receiving a position closest to the mount line. 10:00 – 10:30 hrs. Elite Swim Familiarization. (Pacifica Beach). 11:00 – 11:30 hrs. Elite bike familiarization (Transition area). 9:00 – 13:30 hrs. Athlete Lounge Open at Elite Transition Area. 11:10 hrs. Elite Men Start (Pacifica Beach). 11:15 hrs. Elite Women Start (Pacifica Beach). 19:00 hrs. Closing ceremony Party @ FONATUR GOLF CAMP.